Researching your Family Tree? For early records of Baptisms and Marriages at St Oswald’s please see the Lancashire Online Parish Clerks page. It was a tradition for many years for St Oswald’s to have a Rose Queen Ceremony. 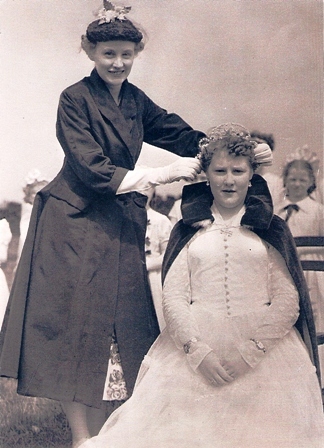 This photo was taken in 1953 when Adeline Dabbs crowned Joyce Avison on the ‘school field’ which was situated where the houses and bungalows around St Oswald’s Road are now built. Adeline Dabbs was a Sunday School teacher at the time and later married to become Adeline Sleigh (mother of Alison Anderson). Joyce Avison, who was 15 at the time of the crowning, later married Bert Taylor. If you have traced any relatives who had any connections with St Oswald’s, we would love to hear about it and will, with your permission, publish the story on our website. (Please email the Webmaster). 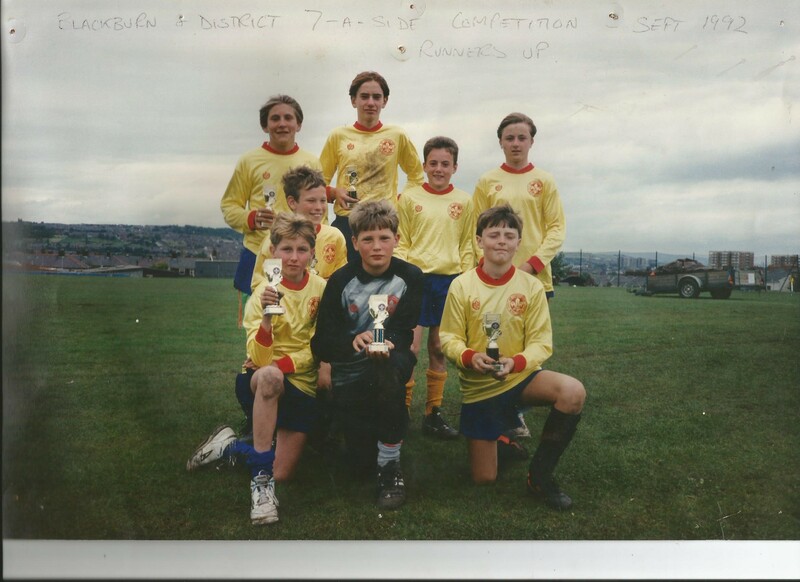 Do you recognise any of these budding footballers? They were runners up in the Blackburn & District seven a side competition 1992.